Fall is lingering with summerish weather at Tuscarora—as it seems to be lingering all over the Upper Midwest. Every hour above 60 degrees is a bonus this time of year—but over 70 is a slice of heaven. Rachel and Andrew are the last staff members lingering-and doing a splendid job wrapping up the season. And there’s only a little teeny voice in the back of my head, uncomfortable with anything that doesn’t fall into the “normal” range. Surely it will snow soon enough. In the meantime, there’s a time for raking and paddling and basking in the sun. You won’t see a December lottery date this year because the USFS is discontinuing the permit lottery system. 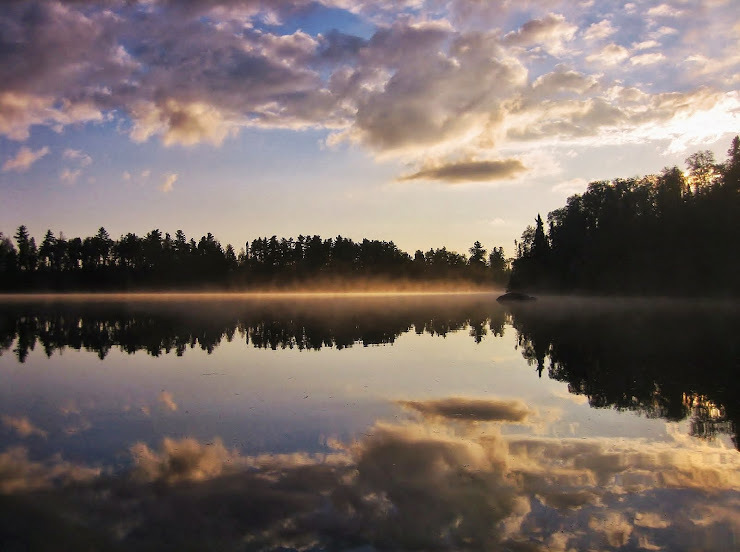 BWCAW permits for the 2012 paddle season will be available on a first come first served basis. On January 25th, you can secure your permits by phone (1-877-444-6777) or on-line with recreation.gov. We’re also glad to reserve your permit, first thing in the morning, January 25th—or any time after that. Call us if you need help choosing an entry point or entry date. We haven’t had any problems in the past few years with entry lakes filling up in January. It isn't until summer's most popular dates approach, that some of the more popular and limited entry points (like Cross Bay Lake) start to close. We’ll be curious to see if some travel patterns change along with the landscape on the west side of the forest. And honestly, we wouldn’t be surprised if the Reserve America website comes crashing down for a while on January 25th. They’re not always on top of their game. But, ultimately, it isn’t something to worry about—it seems to be less complicated--and we’ll certainly do our best to secure your first choice of BWCAW travel permits for next season. In the meantime a few lucky paddlers are taking advantage of the July October weather. Hope you are enjoying yours. Oh, these photos make me know I want to come back for good when our time is up over here!